Don't be discouraged if you have been turned down for traditional lending, because MCAT is here when you need us the most. If you own a small business and are searching for unsecured business loans, a merchant cash advance is the quickest way to acquire the cash you need. A merchant cash advance, also known as unsecured business financing, is easier to pay back than a merchant financing. An agreed upon percentage will come right out of your daily credit card receipts so you won't ever have to worry about making manual payments. 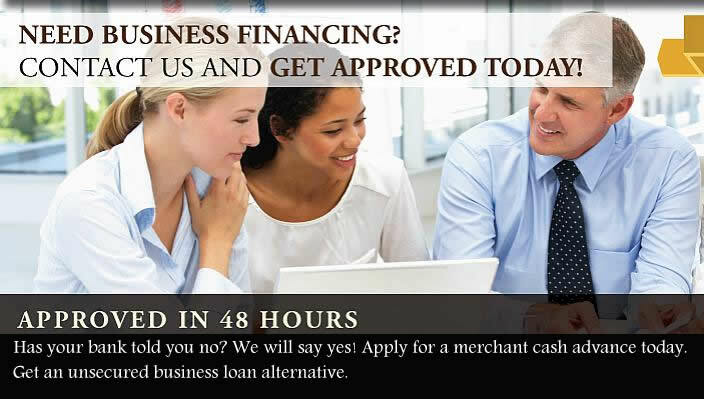 We know that as a business owner you are very busy, so we've made our application process very simple and only ask for half the paperwork of a small business financing loan.